Its that time again! 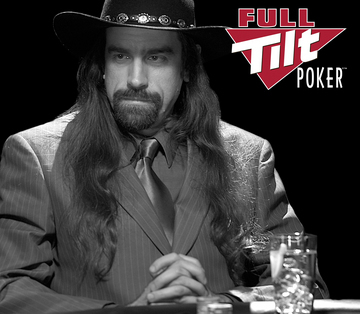 Full Tilt Poker’s infamous FTOPS event is coming. The event will be running from May 6th – May 17th, 2009. The tournament will be having 25 events like previous FTOPS tournaments. The games of course will range for all varieties of poker ability and skill. The prize pool for all 25 events is a cool $18,000,000 with the grand finale $2.5 million No LimitHold’em. This last tournament will be a $2,500 + 120 buy-in which will feature all the top Full Tilt pros. Full Tilt has also announced that they will be adding a miniFTOPS for the lower stakes players that want to play in tournaments. The miniFTOPS will be running the same schedule as the FTOPS is but exactly 1/10 of the buy-ins. The guarantees for the two-day and final events will be a $500,000 and $200,000 prize pool. In addition to the FTOPS and miniFTOPS, Full Tilt will be having further challenges within the tournaments. One of the challenges is the Zero-to-Hero. In this challenge you must win a supersatellite of $1, then use the $26 satellite token for an FTOPS event. After which, you must cash in the event. These tournaments are the best ever. I will be playing as many of these tournaments as possible.